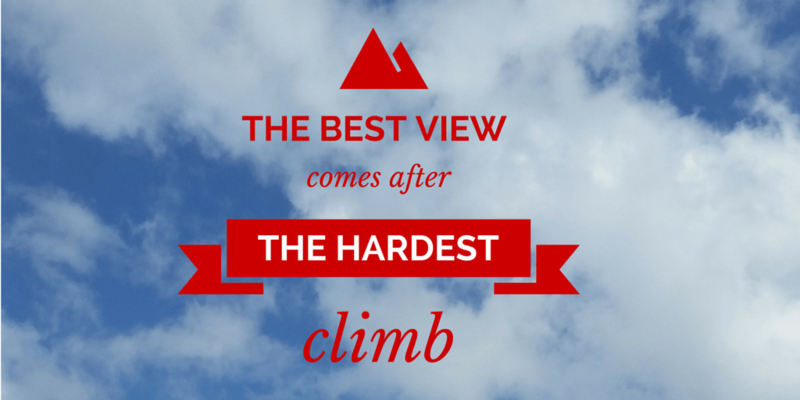 Making the climb is worth the effort! My Wednesday quotation is late this week. Between a bank holiday and a really busy week at work I simply lost track of the days, and now it is Friday evening and I am sitting with the sun reflecting inside my living room and having a quite moment. So often we push ourselves to climb mountains,and I am not just talking about the ones you need hiking boots for! Each person’s mountains are different. For me it might be the mountain of laundry or the clutter pile that I have been hiding from. But regardless of that, we need to stop sometimes and simply focus on how far we have climbed and what we have achieved. Perhaps simply ticking my to do list for the week is an acheivement or staying on track with my healthy eating and exercise. For my son it is writing a complicated bit of code (I think that may some a whole lot harder than it sounds). Really it doesn’t matter what it is, what matters is that you have done it and then you can now enjoy the view. I also have the joy this evening of spending time with my grown-up son. Parenting is a mountain too – a great one, but not always easy. So tonight I am going to have a look at the view – my son, my lovely home and contemplate on what I have achieved. « The biggest weight loss lesson ever!